Rustoration is #1 in Automotive Rust-Prevention and Rust-Repair! We declared war on rust – and we are winning it every day! Our work at Rustoration is based on over 22 years of experience in the automotive and welding industries, in addition to research on corrosion formation and elimination. Our Automotive-Welding Shop offers services ranging from the protection of vehicles against rust, through the repair of rusted frames, and all the way to complete undercarriage restorations. We are one of very few shops in the country which not only remove and repair frame rust, but also completely replace deteriorated structural frame sections. We take great pride in our completed work, which always consists of meticulous attention to detail and the highest standards of safety and quality. Our relationship with our customers is based on trust and respect, resulting in our excellent reputation and high rate of customer return. 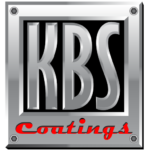 We provide that much-needed barrier between the car or truck and the elements by spraying a protective, moisture-displacing coating onto the undercarriage. The coating is applied both to the outer parts of the undercarriage as well as to the inner-body cavities. The products we use are environmentally safe, bio-degradable oils which prevent new rust from forming and which cut the oxygen supply to existing rust, stopping it dead in its tracks. Contact us today for a free rust consultation and become yet another happy customer of Rustoration! Our mission, in one simple word, is safety. We strive to protect your vehicle from harmful rust, prolong its life and performance and keep its passengers safe. In cases when a vehicle is already damaged by rust, we are the ones who can bring any car or truck back to its pre-rust glory, back to becoming a safe, good-looking and valuable vehicle.